This film takes place 5 years after the events of the first film. On the land of Berk, Vikings and dragons live in harmony. Our protagonist, Hiccup (voiced again by Jay Baruchel) spends his time flying his dragon, Toothless, in order to discover new lands that were once unreachable to the Vikings. When images of teenage Hiccup were released, girls went wild! So, the question is: Jack Frost or Hiccup? 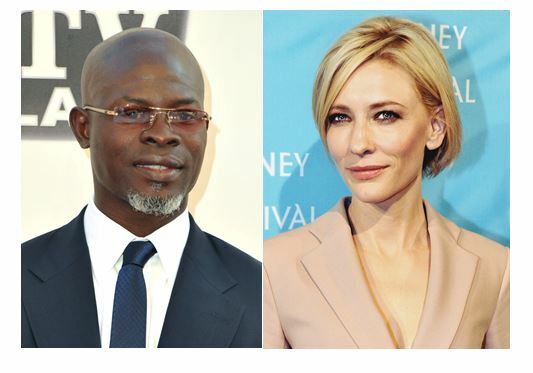 But, he soon discovers trouble in these new lands when he hears of and eventually meets Drago Bludvist (voiced by Djimon Hounsou), a dragon hunter set on taking over the world with his dragon army. Could he possibly look any more barbarian? I really can’t reveal more of the plot as it would spoil too much (even though the trailers for this movie already spoiled a lot, but still). So how’d I like this film? I loved it just as I did the first one! Let’s talk about the good aspects. First off, there’s the animation! Like the last film, the animation’s simply gorgeous and intricate. I mean, animating water, ice, and icy water isn’t exactly an easy thing to do, yet the animators make it look super easy! Imagine drawing splashing waves amongst floating chunks of ice in an icy sea surrounded by fjords! This movie also features hundreds (or even thousands) of dragons, all of different types, colors, sizes, and shapes. You’d think they would run out of ideas on how these different dragon will look or behave, but they manage to be imaginative and give every dragon its own personality and its own distinct look. This feat alone makes the film deserving of an Oscar nomination! Heck, I’d say this film could WIN the Academy Award for Best Animated Feature just on its animation alone! This scene reminds me of the swarming bugs in Wreck-It Ralph. The second good aspect is the story. The story is…somewhat simple, but it works for the movie. It does what a sequel is supposed to do: further the stories of the characters whom we’ve grown to love. It doesn’t rehash the story of nor promote the same morals/lessons from the previous film. Unlike other sequels I can name. The third good aspect is the relationships between the characters. I’m talking about 2 couples in particular. One, I won’t mention as it is a bit of a spoiler, but the other is the relationship between Hiccup and Astrid (voiced again by America Ferrera). They’re still a teenage couple and it’s alluded to that they’re set to be married. And what I love about it is that they’re so much in love! They don’t have ANY disagreements or fighting what’s so ever! They’re open about communicating with each other! And they’re so playful with each other! There’s a scene where Astrid does a (pretty bad) impression of Hiccup that also involves her imitating his “shoulder movements”. You’d think that this is just the voice actors improvising (well, it might be) and that this piece of dialogue would be cut from the film. Rather, this remains in the film! You’d think it kinda weird to devote time and effort to animating a pretty short, almost irrelevant scene. But, this is one of those scenes that just prove the reality of the characters. Couples tease each other all the time both verbally and physically! And when you watch this scene, you literally assume Hiccup and Astrid to be a real couple and not just animated characters on a screen! I feel that I haven’t explained this well, but check it out in the movie and you’ll see what I mean. And lemme just finish off by saying that Astrid is probably the best girlfriend ever! She not only teases Hiccup lovingly, but she comforts and reassures him when he needs that proverbial pat on his back. She plays with his hair nonchalantly. She kisses him on the cheek out of the blue. She defends his honor in front of others when he’s not there to defend himself. She advises him when he’s going to make a wrong decision, but also trusts his decisions anyway. She’s just like an embodiment of loyalty and an incredible companion to Hiccup! I can watch their scenes over and over again! They’re probably the only other fictional couple I care about besides Daphne and Fred. And I think Hiccup is a loyal, loving, perfect companion to Astrid too, but I may be biased since I’m a guy. So you gals, let me know in the comments if you think Hiccup is a good boyfriend. Now, let’s talk about the not-so-good stuff. First off, we have the voice acting. The voice acting in this film ranges from “satisfying, but not amazing” to “you’re trying so hard that it comes off as bad”. We shan’t name any names. That’s all I’ll say for that. The second not-so-good aspect is the supporting characters. In the first film, we were introduced to other kids besides Hiccup: Fishlegs, Snotlout, Tuffnut, and Ruffnut (voiced again by Christopher Mintz-Plasse, Jonah Hill, T.J. Miller, and Kristen Wiig, respectively). The story in the first film was the usual one of Hiccup not fitting in with these other kids, them not liking him, and then he befriending them after teaching them the errors of their ways regarding dragons. So, they had a purpose in the first film. In this film, however, there really is no reason to have these characters other than the fact that maybe fans wanted to see these characters again. They’re not given any important sub-plots or sub-missions. I don’t even think their dialogue adds up to more than 100 lines altogether. I really felt that having these characters in the film just added to the padding. And thirdly, I have a problem with one of the messages that this movie “promotes” and that’s the “moral” of “not listening”. Hiccup (and other characters, but mostly Hiccup) disobeys orders from his father in this movie. And later on, it’s shown that his disobedience led its way to something good so much so that Hiccup’s father, Stoick (voiced again by Gerard Butler) “commends” Hiccup for not listening to him. And yes, I know that in the situations presented in this movie that not listening to authority ended up doing some good. But, I feel that this idea of “not listening” and “doing what you want to do” is being promoted and taught in films quite often nowadays, especially in kids films, that I fear kids will get the wrong message. Yes, there are times when you have to override authority and make a better decision, especially if the authority is authorizing something unjust or something like that. Maybe this is just a pet peeve with me and maybe I’m looking too deeply into this, but thankfully, it’s the last negative aspect I can mention about the film. 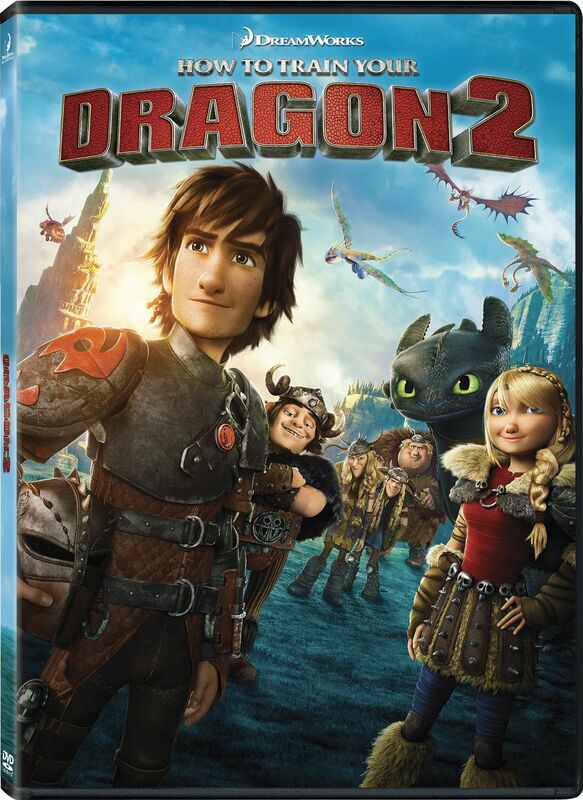 If you haven’t seen it yet, go ahead and watch How to Train Your Dragon 2! It’s an epic masterpiece and an amazing sequel! I pretty much agree with everything you said about this film, and I think it has a good chance at being the Best Animated film of this year. It is simply stunning and does what a sequel is supposed to do. I strongly disagree with Rise of the Guardians being better than this, and never got the hype for the film. I had a hard time too trying to decide if ‘Rise of the Guardians’ or ‘How to Train Your Dragon’ were better than this film. But, as ‘Rise of the Guardians’ still remains my favorite Dreamworks film, I had to put it better than this one. I should watch this, because I did love the first movie. 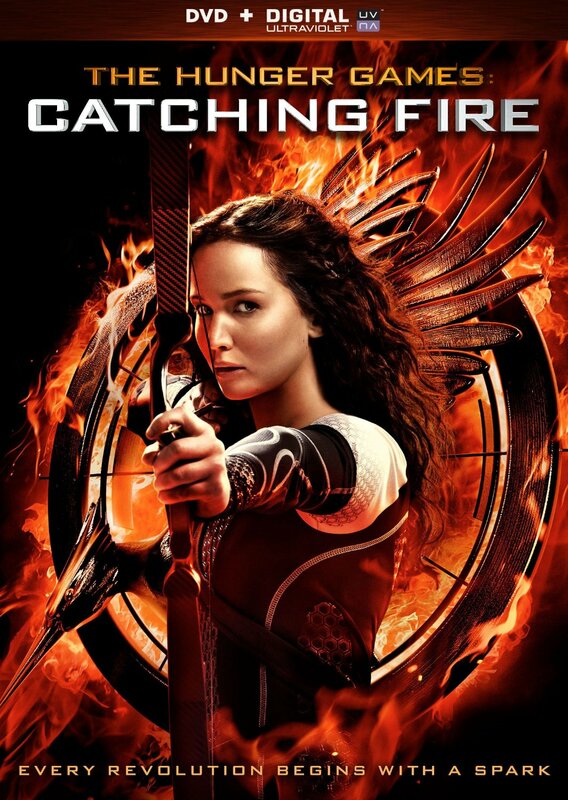 Just wondering: did you ever read the book Catching Fire or does your criticism simply extend to the film? Catching Fire does further the overall storyline, and there are at least 12 chapters before the next Hunger Games are announced, as opposed to the reaping being held in the first chapter. Yeah, it’s a wonderful film! No, I didn’t read ‘Catching Fire’. So, I’m only criticizing the movie. I loved it. I think it is a great choice for kids that are dying to see something epic but aren’t old enough for Lord of the Rings or Harry Potter. It had that feel. I actually have more of a problem with the returning voices than the new one’s but that’s just me. I think with proper parenting kids are not going to disobey any more because a character in a movie does. They are not so easily influenced. But yes, I loved it! It’s a great movie. Yeah, none of the returning voices did anything amazing for me. They were okay at best, as I’ve said. I just feel that this moral of “not listening” is being taught so often in kids films that I find it hard to believe that it won’t affect kids. But, like I said, I could probably be looking into this too much. I thought you liked the returning voices and not the new? I’m the reverse. I don’t “like” any of the returning voices, but I didn’t think they were bad. That’s why I said they were “satisfying, but not amazing”. I guess you’re right about the message. I just feel that all these companies wanna push that message all the time. Ah ok. Sounds good. Very entertaining movie in the end. But generally in those stories, disobedience is shown to be bad and that bad things happen due to it. I feel that these movies nowadays are showing that more “good” than bad can come of disobeying. Fair enough but I still think it is part of growing up to form your own ideas about life and to disobey at least a little. Your parents are not always right about everything. I know I experienced that and I’m a better person as a result. That’s part of the human experience and is reflected in the movies. You will love the messaging of The Tale of Princess Kaguya although I would bet money you will find it boring but hey we can’t have it all! The messaging is very different than the fight for self autonomy from parents and rebelling against rules we see in Western movies. The animation alone is not appealing to me; I don’t like the style. But, I’ll definitely have to give it a shot. How to Train Your Dragon 2 is a serious contender for Best Animated film. It is a spectacular movie. I managed to see it without seeing a single trailer, and wow, that was a great experience watching this film unfold without the slightest hint of what would happen next. It made the movie so much more gratifying. So much so that I’m actually kind of anti-trailer these days. Yeah, it’s gonna be an extremely tight race between this, The LEGO Movie, and BH6. I can’t imagine not watching trailers; I like to be somewhat informed of what I’m going to see. I don’t know why my comment posted right there…oh well. I will add, though, that the animation in “Princess Kaguya” is stunning and gorgeous, just as smilingldsgirl says. It is unlike any movie I’ve ever seen before. I’ll havta give it a shot. So I totally didn’t read all of this review in fear of spoiling something for myself. Believe it or not, I actually just saw the first How to Train Your Dragon just a couple weeks ago. And I LOVED it! I can definitely see the appeal. I’m excited to see this sequel soon! In my ‘My Thoughts’, I try not to spoil much, but thanks for reading anyway! Yeah, the first HTTYD is amazing! Previous Previous post: ‘Big Hero 6’ Proves to Be a Hero at the Box Office!